Books can inspire and nurture us, and at their best they make us better people. To wrap up the year in creative style, we’re sharing the some of the best art and creativity books for kids that were released in 2013. 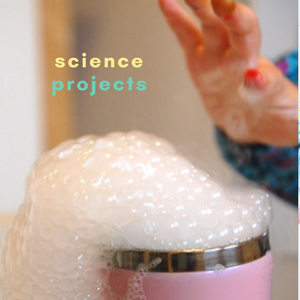 I’m excited to share that TinkerLab: A Hands-on Guide for Little Inventors will come out in June 2014, and you can take peak at it here. Note: Some of the links in this post are Amazon affiliate links. 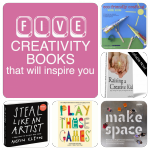 This creativity book is filled with so many of my favorite art projects, and it was named one of the best books of the year by Amazon! 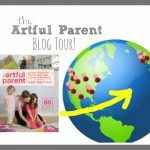 Jean, the author, is also the founder of The Artful Parent Blog,one of my main sources of inspiration for child-directed, process-based art. 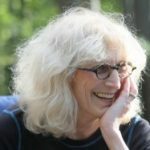 When my oldest daughter was a toddler, Jean’s ideas got me through many a dark afternoon. The Art Lab series is one of my favorites. They’re well-organized, filled with colorful photos, and the steps are very clear. This art book will be a welcome addition to any home with small children who like to make art. Maggy Woodley is the queen of crafts, and my go-to-gal when I have a question about how to turn pinecones or cardboard rolls into something cute. 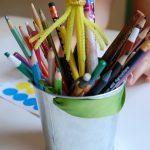 I’m an advocate for child-led projects, and while this book is filled with crafts, the projects leave a lot of room for personal expression. The projects are clearly explained, the pictures pop with clarity, and most of the materials are easy to gather. 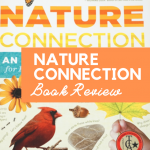 Click on the book cover for my personal review of this gorgeous book. 175 Projects! As an author of a kids’ project book, the design of this book made my jaw drop. And I haven’t been able to pick it up, which is sort of a problem. What a fun book to browse through! As a Martha Stewart book, the production value is high, and major admiration goes to the big team of people who helped put it together. Like Red Ted Art, if you have an older child, this would be a good one to hand over to them on a rainy day or summer afternoon. 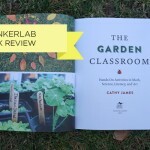 This book comes from one of the best science museums in the United States, The Exploratorium, and if you’ve ever wanted to bring a piece of Exploratorium magic home with you this book could be the answer. 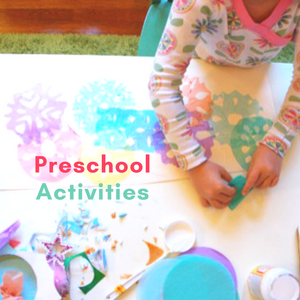 It’s filled with over 150 projects that help children explore the world around them. The visuals are spectacular, and the book even includes some surprising interactive elements. You can read our review here. Back in college I devoured Julia Cameron’s The Artist’s Way and gained so much insight from the practice of keeping morning pages. Can you imagine my excitement when I learned that Cameron was tackling how to apply these same skills and ideas toward raising creative children? 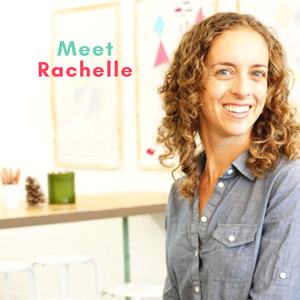 Her voice is kind and approachable, and whether you use all her ideas or not, you’re sure to get inspired by the fun exercises, enjoyable activities, and actionable steps toward raising a creative child. While not exactly a book for kids, this book would be inspiring to a parent who’s lost their maker mojo or is thinking about dipping their toes into the maker movement. It would also be a great read for a teenager who needs the confidence to tackle a future of making. My five-year old is just getting into Legos, and recently spent the better part of two days assembling a huge Lego house. Her focus was palpable, as was her pride in completing the job. When the job was done, I wondered, what’s next? This book is filled with over 100 ideas for making everything from a mailbox to a dragon, and the diagrams are easy to follow. The only problem with the book is that I now realize that we might need to invest in lot more Legos. You might also enjoy Volume 1 of this book. This book would be a welcome read for educators who are curious about the maker movement and would like to bring their classrooms up-to-date with technology. 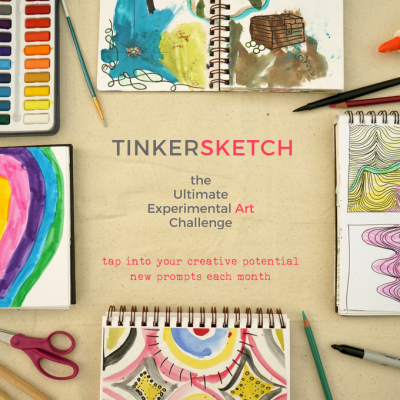 It’s full of ideas and resources for anyone who’s interested in raising children to become creative thinkers and lifelong learners. If you like to read books on your Kindle, the Kindle version is a far better value than the paperback. So many people compare this to the Whole Earth Catalog (do you remember those? ), and for good reason. It’s the kind of book you’ll want to browse through on a rainy day, or take to a cafe and flip through like a magazine over a cup of coffee. Kevin Kelly is one of the founders of Wired Magazine, so he knows a thing or two about technology tools. It includes tools for price tracking, different types of adhesives and what you can do with them, and the differences between a variety of clays (Sculpey vs. SuperSculpey Firm)….just to name a few. 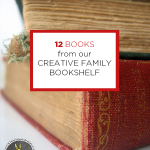 What a great resource for the creative family! Have you heard that 3-D printers are the desktop computer of our children’s generation? Some people have even referred to the 3-D printer movement as the next technology gold rush! Tinkerers are pioneering new ways to use 3-D printers, and I for one do not want my kids to be left behind. You can finally buy a decent 3-D printer for under $1000, and it’s only a matter of time before that price drops even more. This book won’t tell you which 3-D printer to purchase, but it will fill you in on why and how 3-D printers are changing the future. I saw Chris speak at a conference earlier this year, and was captivated by his pitch for introducing children to 3-D printers. If you have a child who has a passion for making things, this book could be a roadmap for his or her future. 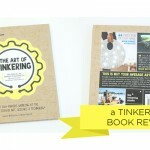 It outlines what the maker movement is all about and it’s full of inspiration for inventive entrepreneurs. In the future, “everyone with an idea will have the tools to realise it.” This, my friends, is why tinkering and making with young children is so important. The future is changing rapidly, and children with the tools to navigate the new world will be confident makers, inventors, and innovators. 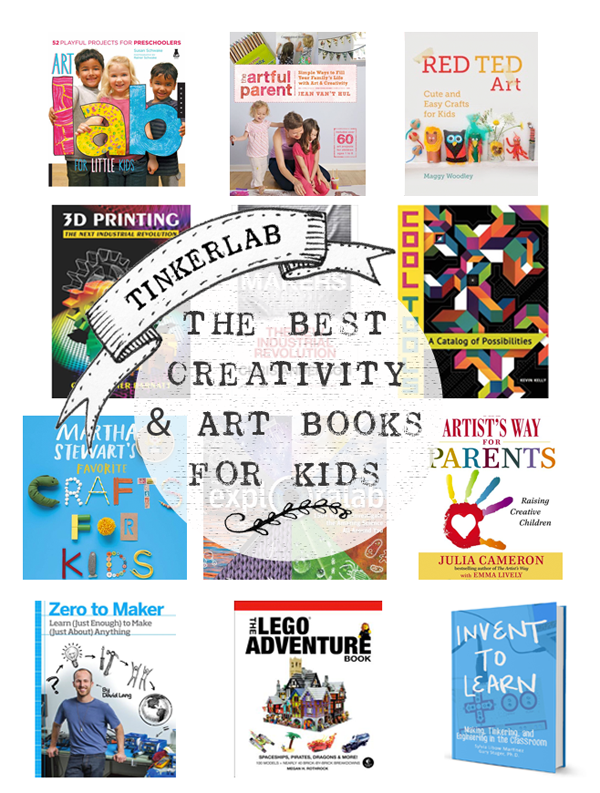 What’s your favorite art or creativity book for kids or parents? We were excited to share our Forest Fairy Crafts book this year. I love your collection! I am always on the hunt for new ideas :). Thank you! Hi Lenka, Will you share a link so that we can take a look? Thanks! Love this post Rachelle. The list of books sounds fantastic and I have just put three on order! Thanks for posting this! Love to check out all the titles! I know some of the authors are quite talented! I’m so glad you enjoyed this, Carolyn! I’ve been clearing the clutter from my home over the past couple years, but books are my weakness 😉 Thank goodness for the Kindle! We’ve used the Artistic Pursuits books for several years. They are great because they teach techniques and with out telling what to draw. They also link in art history. Artistic Pursuits is new-to-me! Thanks for bringing this series to my attention (it sounds fantastic). I’m eager to check it out. Despite the conveniences your company offers to your customers, you may be seeing an unwanted decline in business.